The complete, critically acclaimed Cambridge edition of The Letters of Samuel Beckett makes available for the first time a comprehensive range of letters by one of the twentieth century's greatest literary figures. 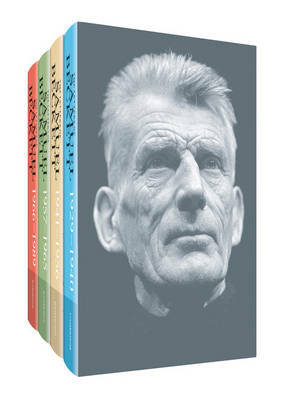 The four volumes, spanning the period from 1929 to 1989, follow Beckett from his early writings, though the pivotal points in his personal life and career as he achieved ever-growing international fame, to his later work and life where he turned his mind to his legacy. Each volume provides detailed introductions, as well as translations of the letters, explanatory notes, year-by-year chronologies, profiles of correspondents and other contextual information.